Ramzan has started and it is raining haleem everywhere. At every nook and corner of the city, you have small cafes to large restaurants offering this complete dish of wheat, meat, lentils, ghee and spices, which are lapped up not just by the fasting devouts, but also aam janta across communities. While mutton is the most preferred meat to prepare this delicacy, many variants using other meat or vegetarian supplements are marketed during this period. SodaBottleOpenerWala at Hyderabad is promoting Gyarah Handi Haleem, offering eleven different varieties of the popular food of Ramzan. I am a bit of a puritan regarding the type of meat in my haleem and love my favourite red meats in it. 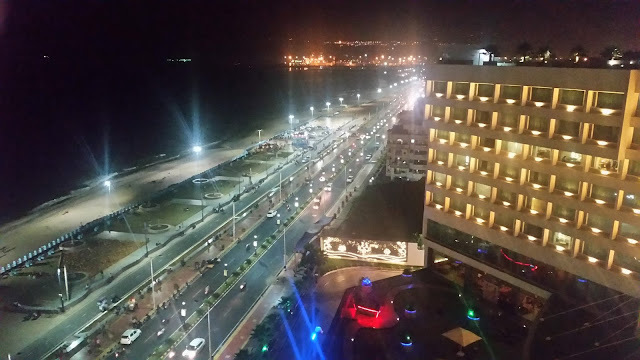 Hyderabad seems to agree, as it experimented with fish haleem a few years ago, and it clearly did not work out with the masses. So, when I went for this promotion last year, I was quite apprehensive. But, on tasting the dishes, I found quite a few to my liking. Also, some of the special ones like the Persian Haleem they made was subtle and flavourful and quite different from the spicy ones you get here in Hyderabad (I always felt most of the Irani Cafes in the city overdo the spice bit, spoiling the taste). 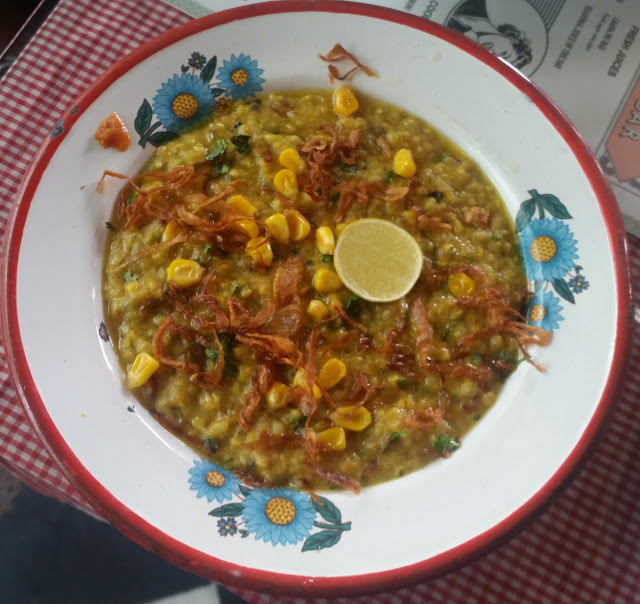 Another great one was the Corn Haleem, which was frankly a revelation, as it matched even the best non-veg ones in taste. The Special Mutton Haleem topped with Talawa gosht also stood out. This year the restaurant is back with its eleven handis. A special set-up has been created in the open area of the restaurant to showcase the eleven varieties. There are three vegetarian options – Subz, Roasted Corn and a Persian veg version. Gone is the Soya variant which did not work last year. The non-veg offerings remain almost the same, with duck and turkey being the special meats, and prawns providing the seafood touch. 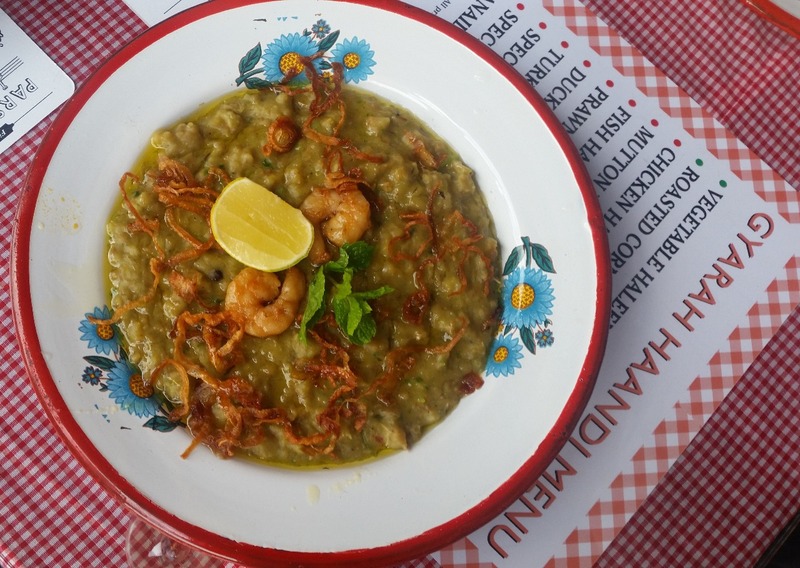 The Persian haleem still remains an important attraction, while the fish one has been dropped. 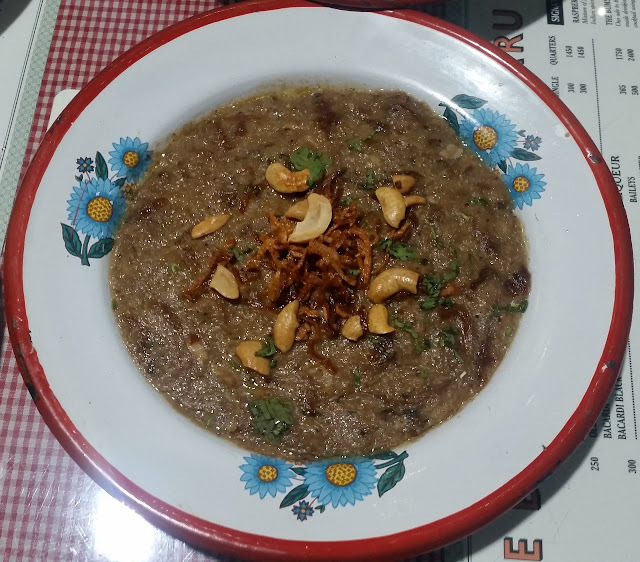 For me, the Duck Haleem was the favourite this year, with the shredded duck meat giving a fibrous edge to the preparation, separating it from the rest. The Persian veg haleem worked out very well with little spices and a smooth taste almost like the eggplant-based mezze dishes from the Mediterranean. Turkey Haleem (the bird and not the country) is another which should definitely be tried out. 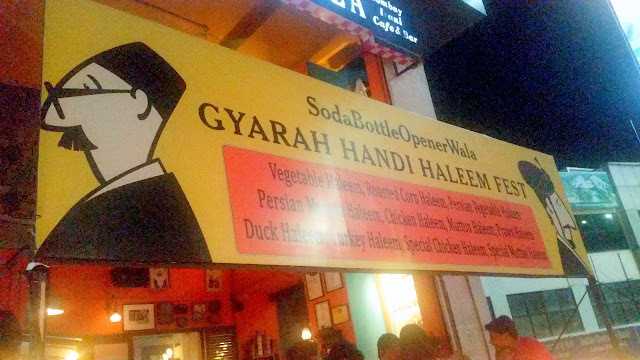 The mutton and chicken haleem at SodaBottleOpenerWala uses recipes perfected at homes, so the taste is quite different from the ones you get at Irani cafes. 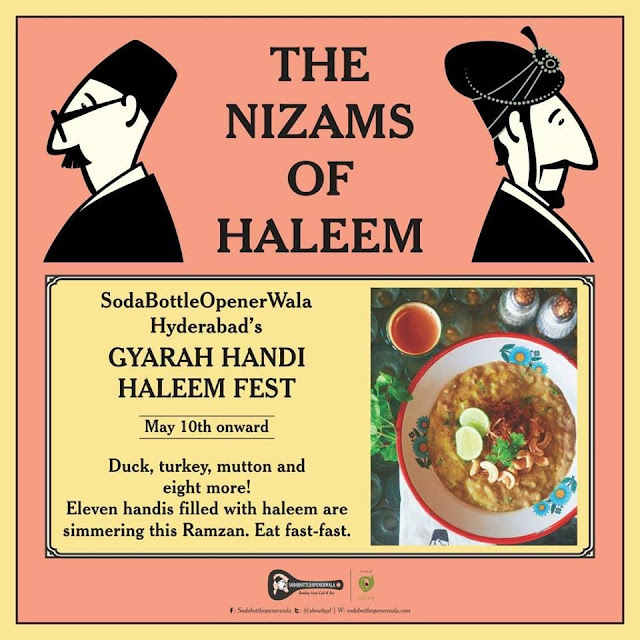 For haleem lovers, SodaBottleOpenerWala is a must visit during Ramzan as the limited edition promotion will end at the end of this Holy Month.